I made this illustration to use as my Christmas card this year. 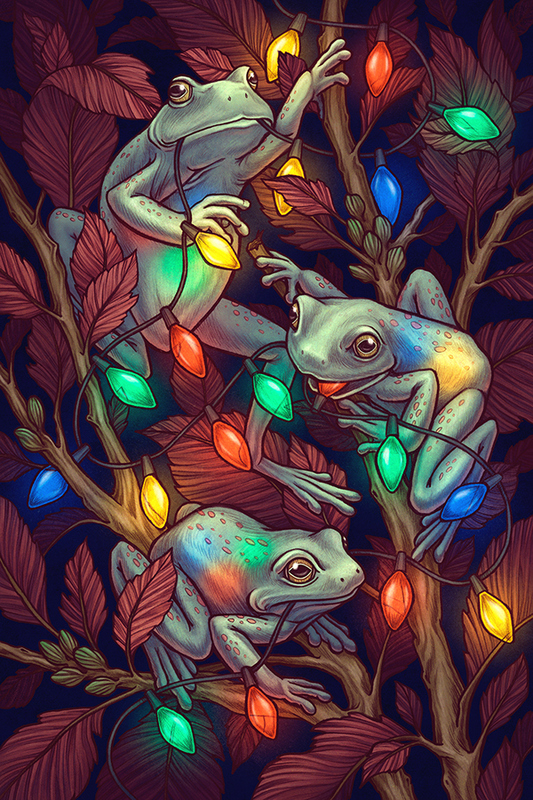 Just some holiday frogs enjoying the lights. 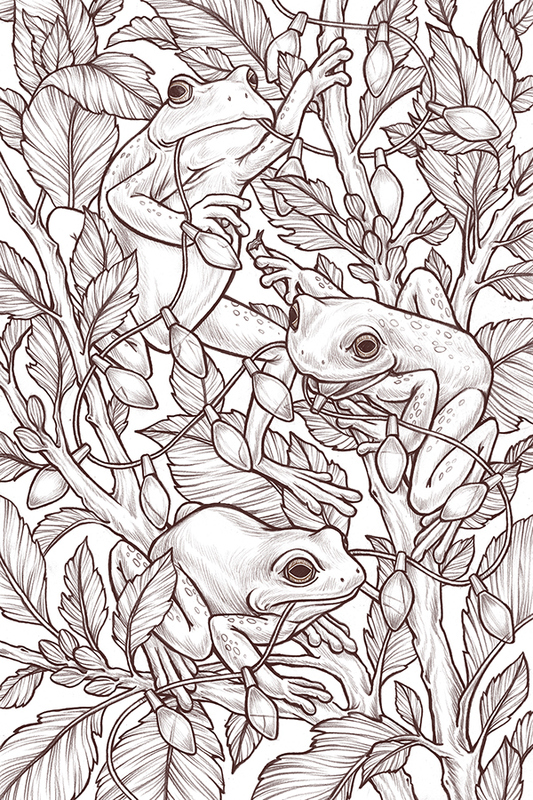 An illustration for my Holiday card.